So yesterday I wrote about the 31 day purge that my mom, sister and I are participating in. 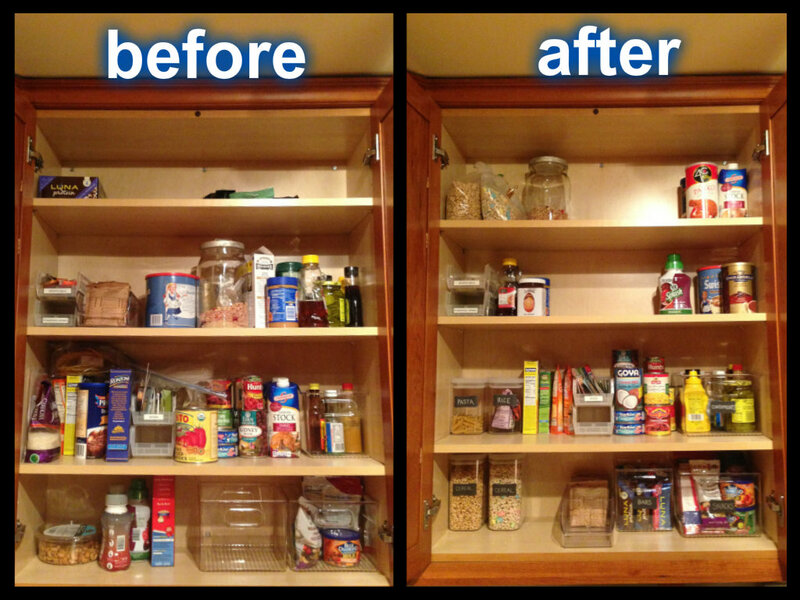 Our first activity was to purge our pantries. While none of us have full-blown walk-in pantries, we all have a cupboard or two that we store our food in. 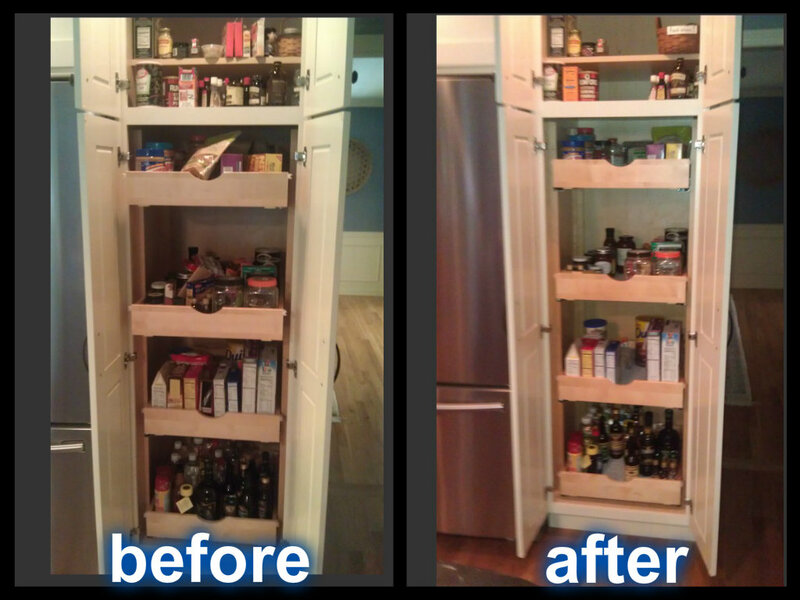 My mom recently renovated her kitchen and put in drawers that pull out into her pantry, something she has wanted for years! She didn’t think that she needed to do a pantry purge since she literally just did a similar activity… However, when I was home this weekend, I was disappointed that these beautiful new drawers weren’t quite as organized as I thought they could/should be. So after berating my mother on the phone for a solid 10 minutes, she decided she would tackle this challenge. I don’t know about you, but I definitely see a difference! 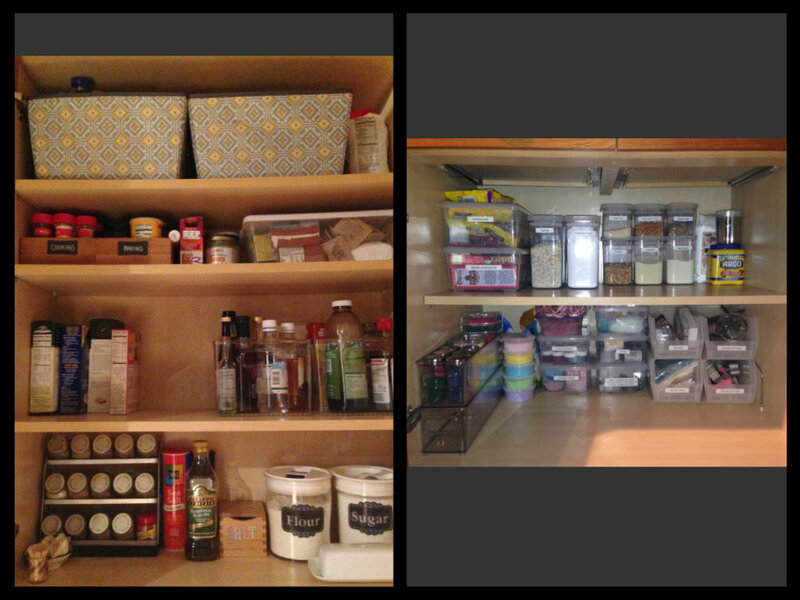 That being said, I still think she can use a couple more bins/baskets and of course, more labels. Abby has the smallest kitchen of the three of us, and as a result, is very limited on her storage space. She has two small cupboards that she stores her food in. Unfortunately, she forgot to take before photos but hopefully you get a sense of her purging abilities. I told her that not knowing what is in the fabric bins is killing me – get some labels on those! So there you have it. 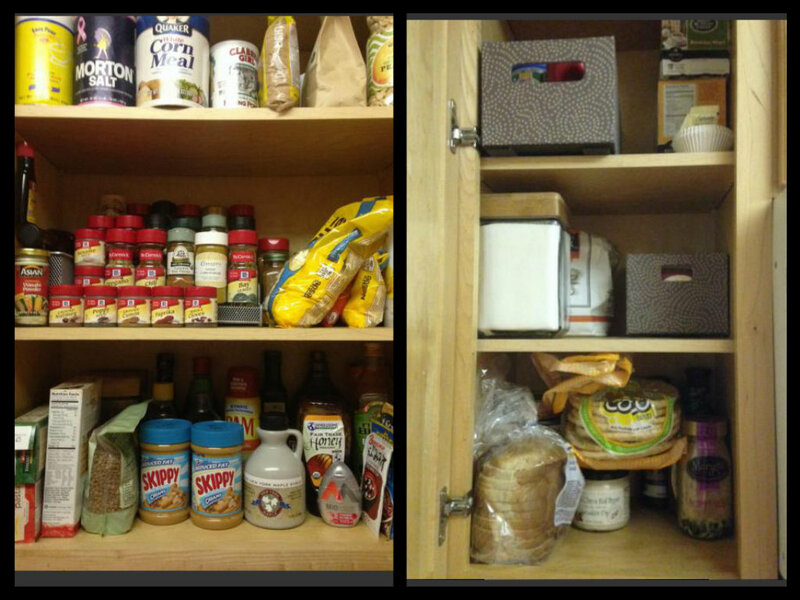 Three purged pantries! Abby: Mom & Puppy peanut butter? & why is the maple syrup not refrigerated? Molly: I don’t know what’s in your fabric bins either. Nance: 10 minutes of Molly rant? You either REALLY want to be a Grandmother or you left the phone in the bathroom!